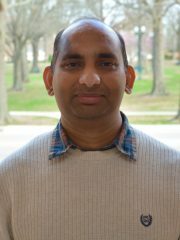 During Dr. Misra’s Ph.D. and postdoctoral training, he gained experience in a wide variety of protein structure-function analysis, biomolecular mass spectrometry, proteomics, glycomics and metabolomics technologies and expertise. He has good experience in enrichment, identification, and validation of post-translational modifications on proteins, especially phosphoproteins. He also has good experience in SILAC labeled and label-free quantitation of proteins.